Watch live today.... on wonderful system of Medicine.... Homeopathy. 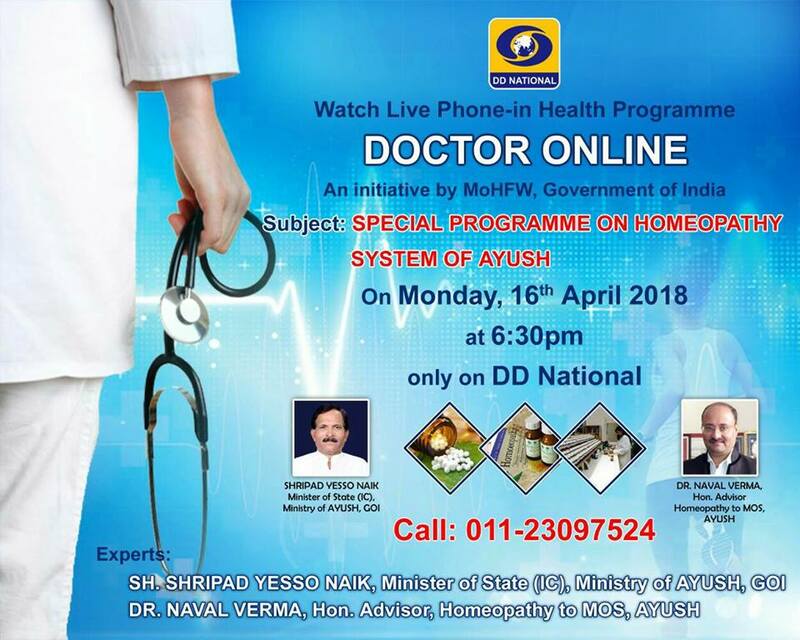 On DD National... Our Honorable Union Minister AYUSH Sh. Shripad Naik and Advisor Naval Kumar Verma. Timing: 6.30-7 pm.